Students of TALK English Schools can take advantage of seeing the sights of San Francisco and experience the cultural and other attractions of this great Californian city. There are many San Francisco attractions available to see when the weather is fine, and which provide an insight into the history and character of the city. Located in San Francisco, the Golden Gate Park is a large urban park which consists over 1017 acres of public grounds. This park is configured in the shape of a rectangle and is 20 percent larger than the Central Park in New York. The park stretches over 3 miles long in an east to west direction and a half mile across from the direction of north to south. Annually, the park is seen by over 12 million visitors. 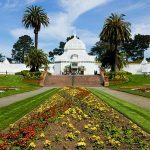 It is home to a great variety of attractions to including the Conservatory of Flowers, De Young Museum, Japanese Tea Gardens, botanical gardens, Academy of Sciences, the Dutch Windmill, a bison paddock, Segway tours, and much more. The De Young Museum is a Fine Art museum which is located within the Golden Gate Park. This museum is located at 50 Hagiwara Tea Garden Dr San Francisco, CA 94118. The museum itself is the oldest San Francisco museum. It is famous for its striking copper-sheathed modern building exterior. Open to the public in 2005, this museum holds a superb collection of works of art ranging from American Federal style paintings, Abstract, Surrealism, Pop, Native American and Spanish colonial art, along with Impressionism, Modernism, Hudson River School, and Contemporary. 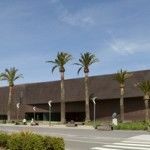 This museum also contains an Oceanic Art collection with rare Australian Aboriginal artist paintings, New Guinea Jolika art collections, textiles and carved Indonesian sculptures, as well as New Zealand Maori wood carvings. The opening hours of the museum are 9.30am – 5.15pm Tuesdays to Sundays. 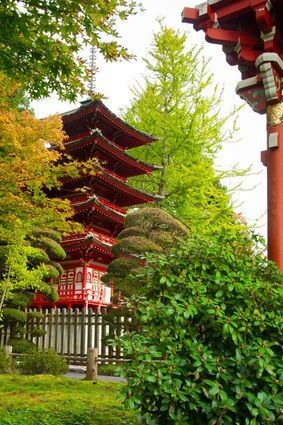 The Japanese Tea Garden San Francisco is one of the oldest Japanese gardens that is open to the public in the USA and is located within the Golden Gate Park. 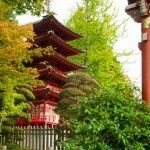 The gardens were originally created in 1894 and consist of 5 acres of classic Japanese elements including pagodas, an arched drum bridge, stepping stone paths, stone lanterns, serene koi ponds, native Japanese plants, and a Zen garden. Throughout March and April beautiful cherry blossom trees can be seen in full bloom. The Golden Gate Park Segway Tour is a great tour for TALK students to experience on their day off. This tour is designed for you to explore the 1000+ acres of the park while using a Segway. 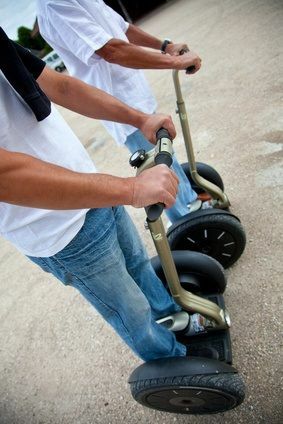 This tour is a 2.5 hour tour which includes a 30-40 minute training session for riding a Segway. 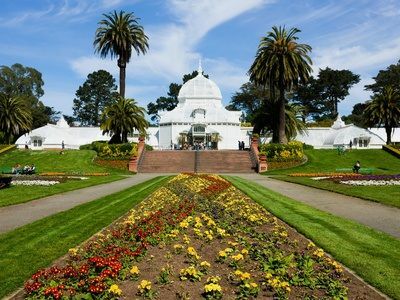 The tour is fully narrated and takes you past a variety of different fascinating sites including Stow Lake, Shakespeare Garden, National Aids Memorial, and Pioneer Grove. This eight mile tour starts behind the band shell which is located in the music concourse and across from the Japanese Tea Garden entrance. 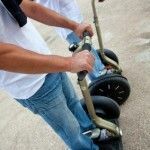 To be eligible to ride the Segway you must be over 12 years of age. Pregnant women are not advised to participate because of the risk of falling. To book your tour it is important to reserve your spot early by calling (415) 474-1944.